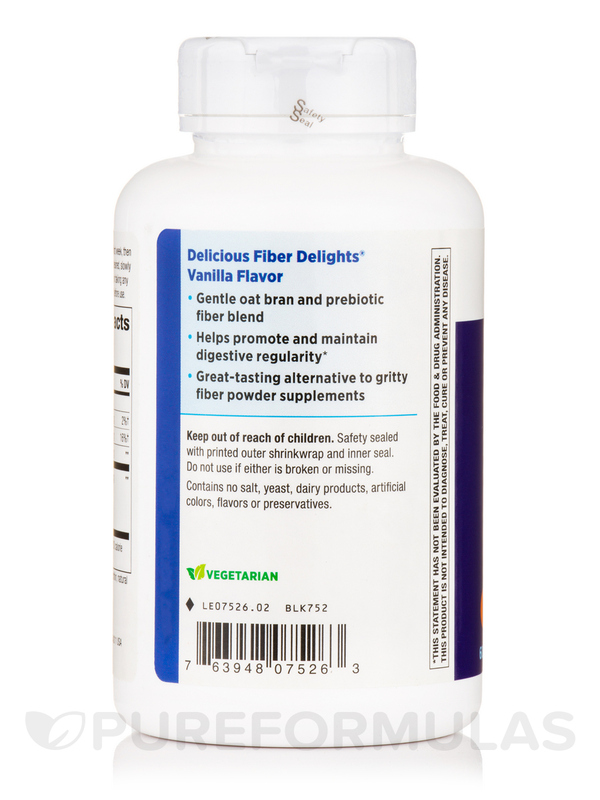 - Gentle oat bran and prebiotic fiber blend. 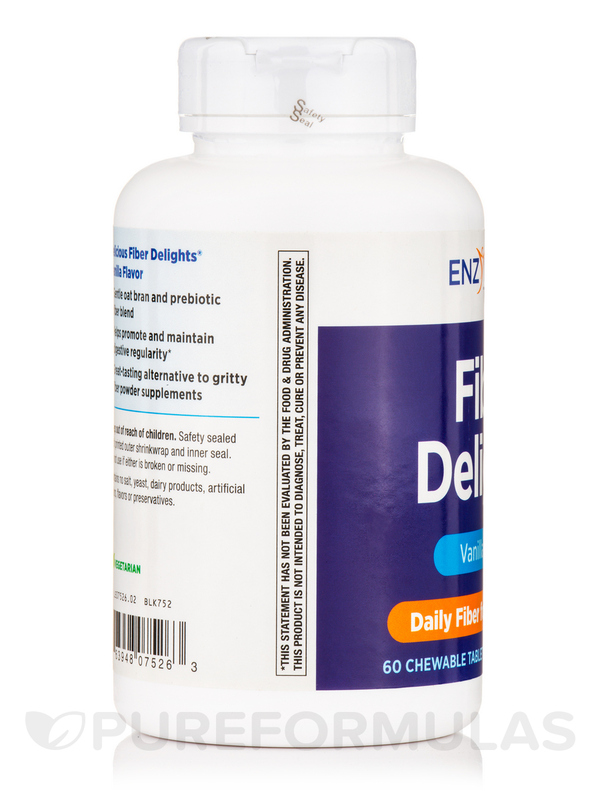 - Helps promote and maintain digestive regularity. 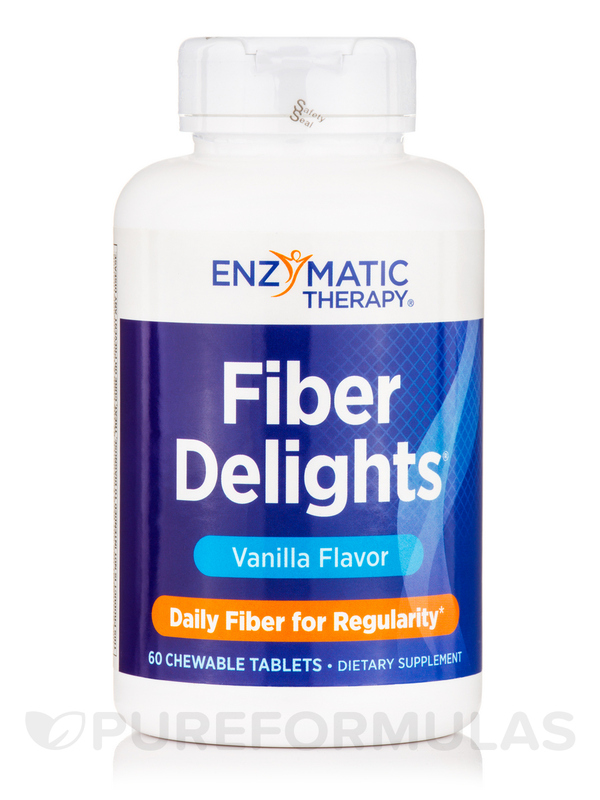 - Great-tasting alternative to gritty fiber powder supplements. Enriched inulin fiber (inulin and fructooligosaccharides [FOS] from chicory root)‚ oat bran fiber. 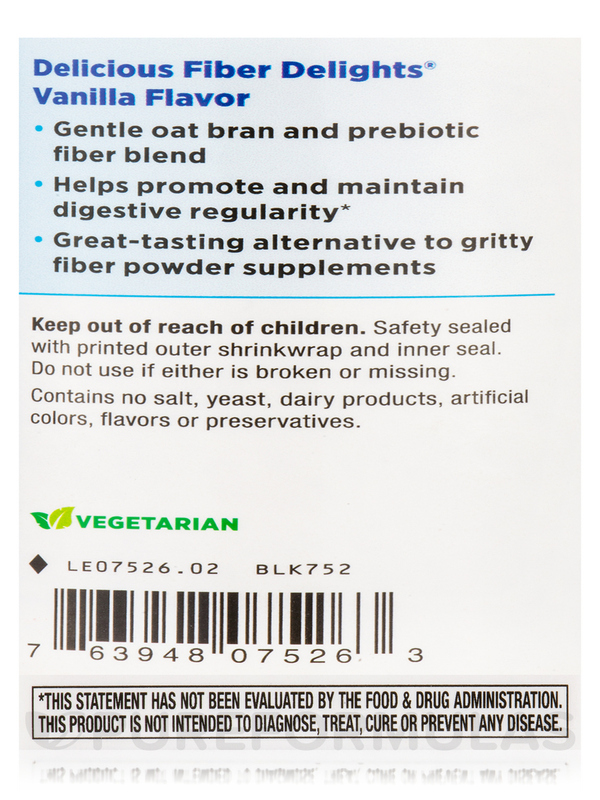 Other Ingredients: Fructose‚ stearic acid‚ soy lecithin‚ natural vanilla flavor. No salt‚ yeast‚ dairy products‚ artificial colors‚ flavors or preservatives. 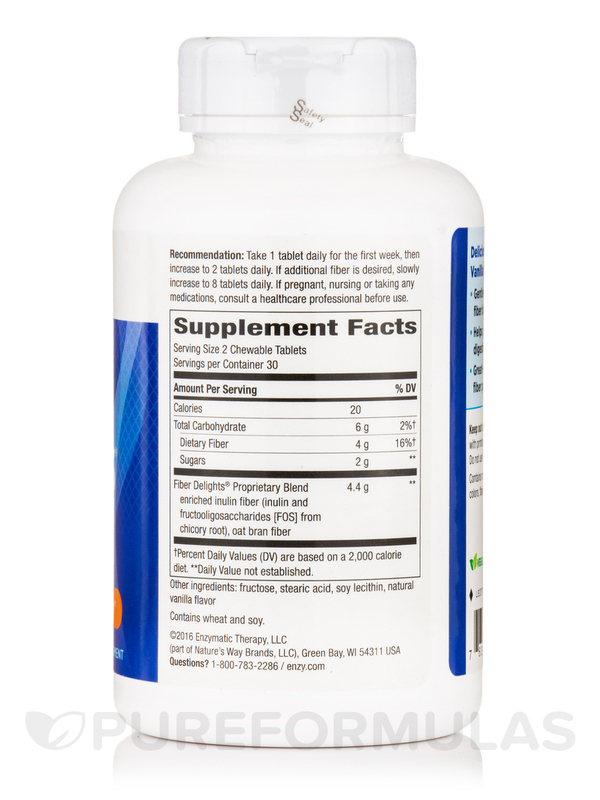 Take 1 tablet daily for the first week‚ then increase to 2 tablets daily. 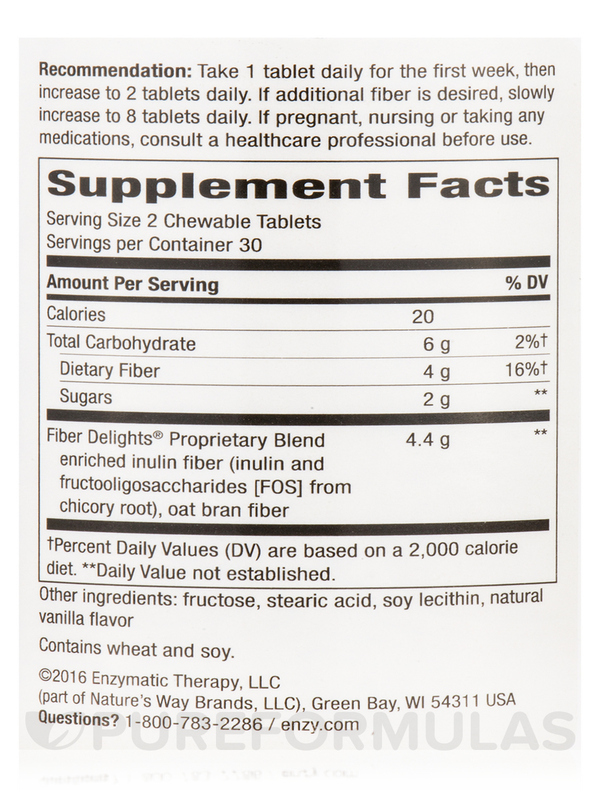 If additional fiber is desired‚ slowly increase to 8 tablets daily.